If you're looking forward to giving your fighters a boost in battle with hundreds of spirits when Super Smash Bros. Ultimate is finally released on the Switch, Nintendo Australia's Twitter account has shared a fun fact revealing how you can acquire two of them sooner rather than later. 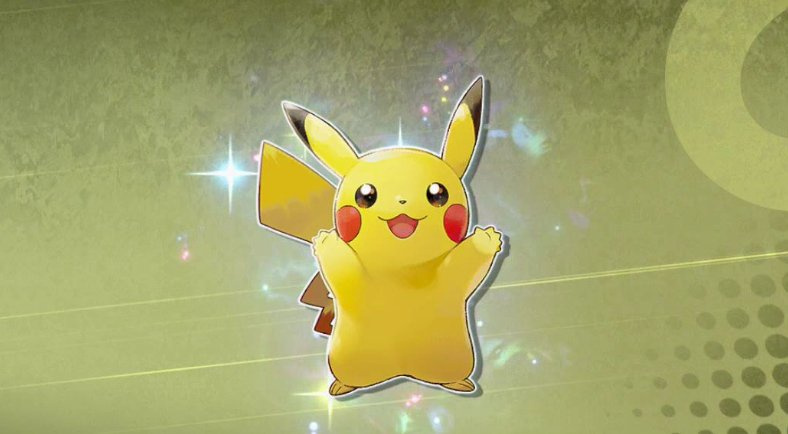 If you have save data for Pokémon: Let’s Go, Pikachu! and Let's Go, Eevee! on your Nintendo Switch, you'll be able to immediately unlock the partner Pikachu spirit and partner Eevee spirit. Fortunately, if you only own one of these games, or didn't pick up either of the latest entries, you'll still be able to unlock the spirits in-game by completing challenges. As can be seen, both spirits will enhance your fighter's abilities such as attack and movement. For the uninformed, spirits are characters from all sorts of different Nintendo series, as well as characters created by many other publishers and developers. There are two different types of spirits - primary and support - and hundreds of them to collect. You can find out more about spirits in our special guide. 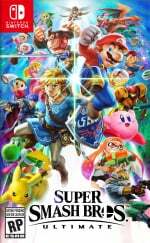 What do you think about Super Smash Bros. Ultimate using save data from other games to unlock content? Which Pokémon spirit partner will you be calling on? Tell us below. That's a nice bonus. I wonder if other spirits have something like this. Interesting. I recall Melee having a similar thing where if you had game saves for games like Mario Sunshine you unlocked extra trophies. @Angelic_Lapras_King No, that was Pikmin (Mario Sunshine came out after Melee). You needed the save data on your memory card to get the Olimar trophy. Still the only melee trophy I haven’t unlocked. Also - a tribute to Jeb Bush’s dad, since we didn’t get an article. Very sad weekend. Hopefully he gets a spirit in Smash? To be blunt, this is the most I was encouraged to pick up one of (or both of) the Let's Go games. I probably still won't. Not my kind of game, but this is some great support. I wonder what other tie-ins Nintendo has in store. Nice just like old times, I recall having the SA2:Battle save and unlocking Flicky in SMC without prior knowledge of that being a thing. I also remember going to blockbuster to rent Pikmin just to "finish" Melee and ended up loving the game. Thanks to that Olimar was one of the fighters I was most looking forward to play as in Brawl. Love the lets go games! @Angelic_Lapras_King Yeah, but it was only for Pikmin, and it unlocked the Olimar amiibo. I know of more people than I care to admin who got Pikmin mainly to get the exclusive trophy. Also it makes me think about having to juggle the smaller memory cards for specific games, back in the day. Now I just plop a 128-256 gig sd card into all my Nintendo portable consoles and I'm done with it. Cool, but I’d rather complete the challenge to unlock them. I'm gonna need a microSD Card. I guess on Christmas morning we better make sure we start up Eevee before SSBU. XC2 and SMP will likely wait. "If you have save data for Pokémon: Let’s Go, Pikachu! and Let's Go, Eevee! on your Nintendo Switch"
I read that "and" to mean "and" and thought for a moment Nitendo was crazy enough to insist we have save data for both games on our console to unlock them. Glad the tweet spelled things out more clearly. Too many Boolean Operations for me early on a rainy Sunday morning. @LittleLion This is specifically Partner Pikachu, a different Pilachu than the one playable. (Similarly, there’s an Eevee spirit and a Partner Eevee spirit.) Just like King K. Rool is a fighter, but Kaptain K. Rool is a spirit. Yes, I am aware that there are spirits for fighters, but won’t that just mean that characters who already have spirits can’t become fighters, unless Nintendo can whip up an alternate version? For instance, say Nintendo wanted to make Eevee playable, but there are already Spirits for both Eevee and Partner Eevee. They’d have to make it a shiny Eevee, or maybe an Eeveelution. Not to mention the suspicious absence of a Piranha Plant spirit. Presumably when the DLC arrives one will be able to get a Fighter Spirit of it. Nintendolife makes a dedicated article about save data from Let's Go (Buy Something Else, Honestly) unlocking two spirits in Smash, but I didn't notice you guys reporting on new costumes for Mythra added in XB2 and The Golden Country that reflect her new appearance as Spirit in Smash Bros. Ultimate. Lame. @HexNash There are some characters who suspiciously don’t have spirits that seem pretty important to their home franchise. I’d mention one but it’s a spoiler, and I don’t know how to make spoiler boxes. Edit: I think I figured it out... Did it work? Erm, I thought this site would have no spoilers on smash! I feel like a lot of these Pokemon Spirits come from Lavender Town. Glad that you can still unlock the spirits without a save data. @LittleLion The fighters and spirits can be extremely similar, but are never the same. For example, Wii Fit Trainer has a spirit, yet it is in a specific pose. Nice, now I'll definitely just load up the game for it. 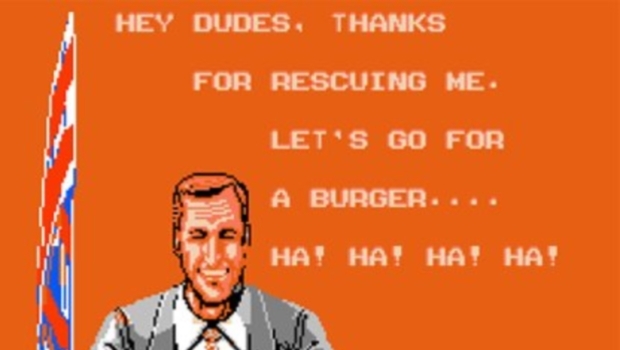 Ah yes, the good ol old save data bonus trope that's been around since pokemon stadiums release back in 1999. See, this would have been a nice little surprise to have experienced in person. I get that this is news, but I really would have appreciated the attention to detail that much more had this article not been posted. There was no way for me to avoid seeing it either as it has both pokemon and smash in the title. I really hope other upcoming games get this treatment! @Delibheel Probably sadly i wont be able to pick up smash til payday. Melee had a similar feature. You could get a Pikmin related trophy if you had Pikmin data.